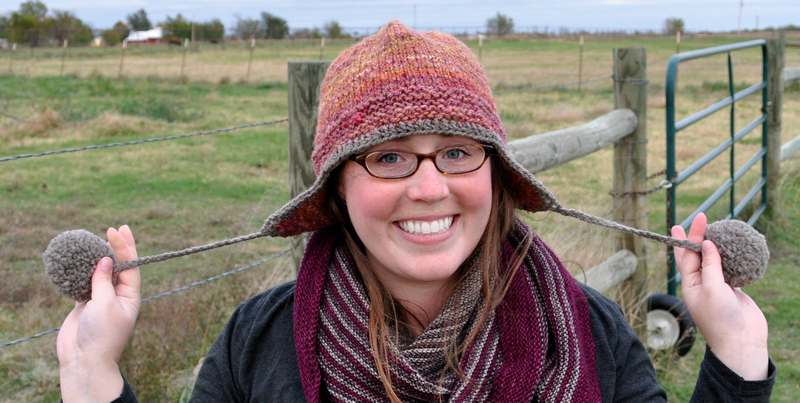 Sorry for the radio silence lately – grad school keeps getting in the way of my knit blogging! 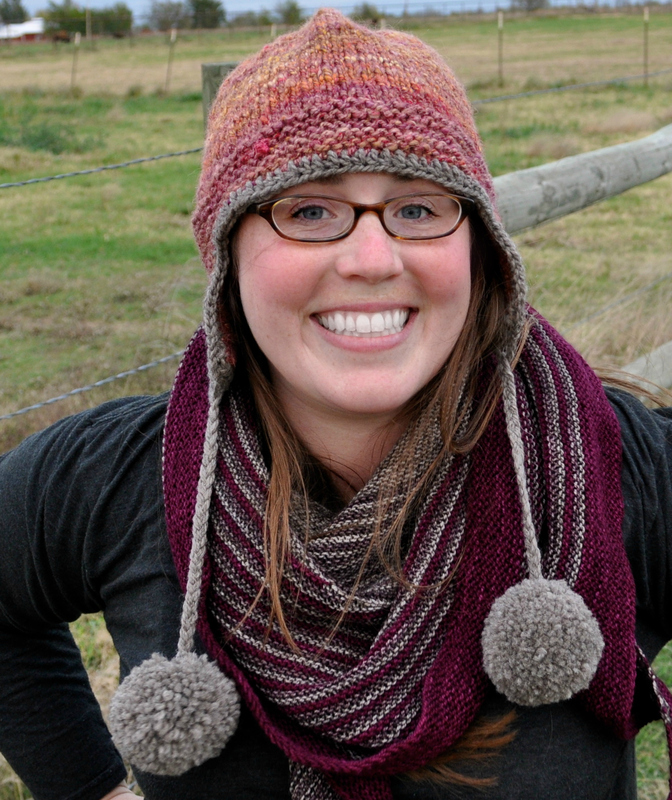 :) I had a pretty big exam last Thursday that has been consuming all of my energies for a while, but now that it’s over I can get back to the knitting! Unfortunately some of my knitting has to stay secret for now, but I can tell you that the grown up version of Baby Sophisticate is being test knitted as-we-speak! Hooray! It’s taken a long time, but hopefully there will be some baby-daddy (or baby-mommy) matching sweaters out there this winter. 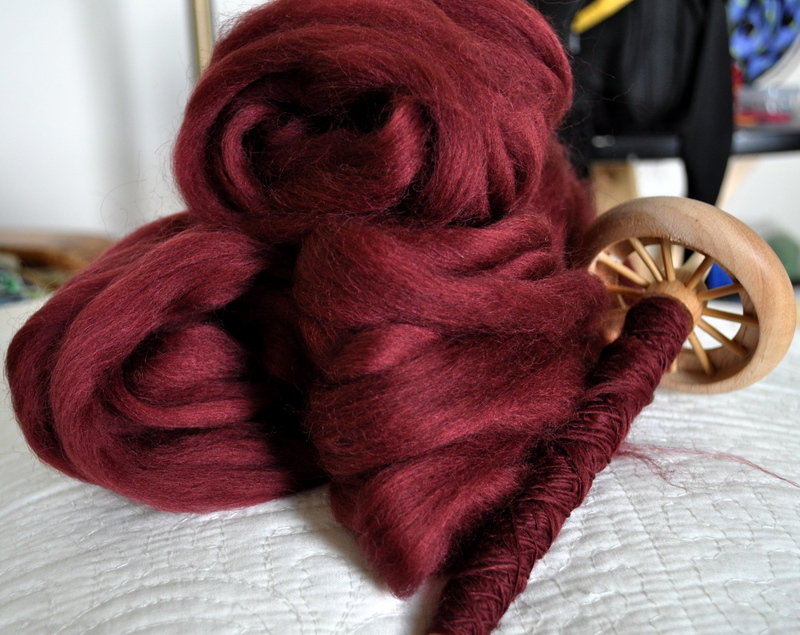 I’ve also been spinning! 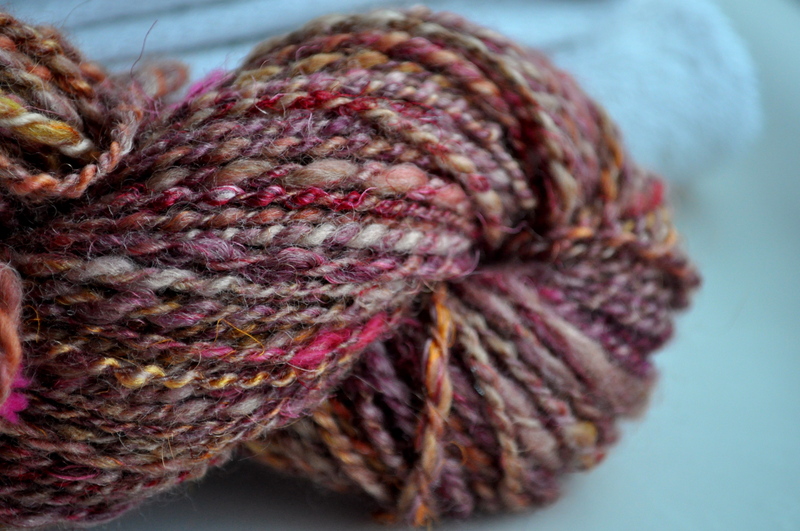 See, I finished spinning the pretty brown fiber I mentioned before – and I have to say I think I’m getting better! 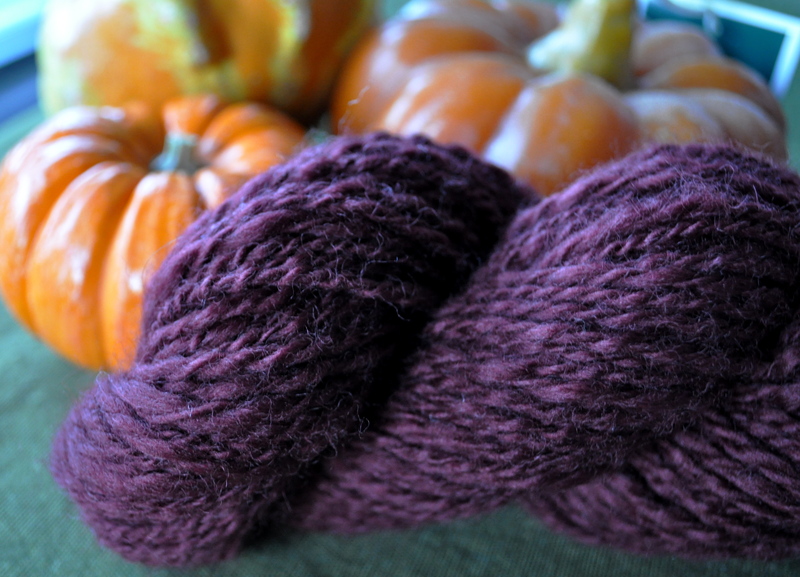 This yarn seems much more consistent, and I’m trying to think of just what to knit with it. When I stopped into L&B a couple of weekends ago I got sucked in by some of the batts Brita of Brains and Beauty Yarn had put up in the store and (obviously) one of them came home with me. 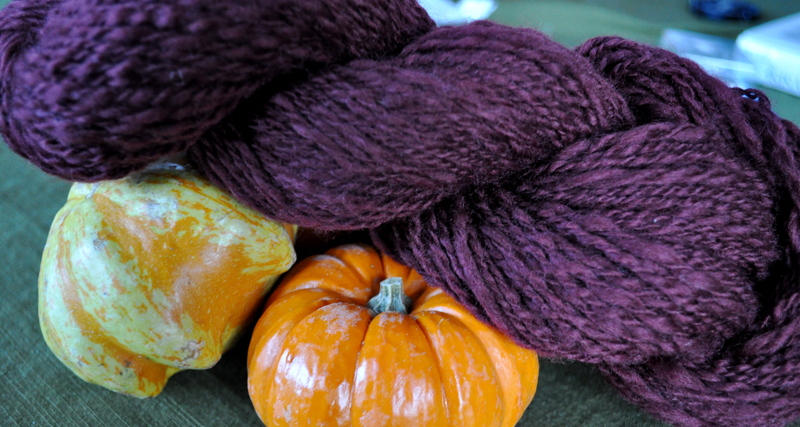 It’s called Autumn Glory and is BFL, silk, sari silk and angelina and it’s bea-utiful. 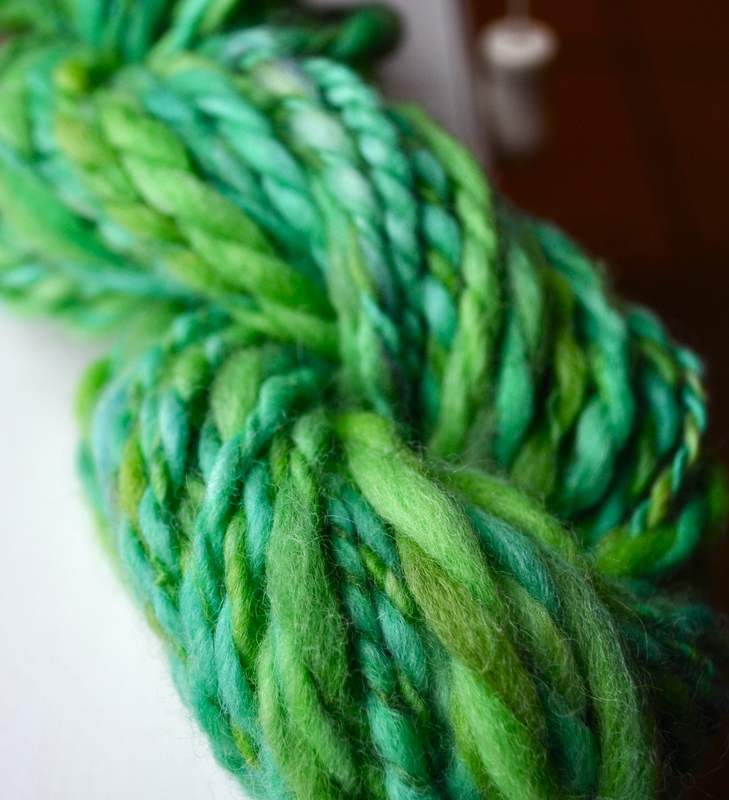 I’ve already spun half of it, so hopefully I’ll have a finished product to share soon! 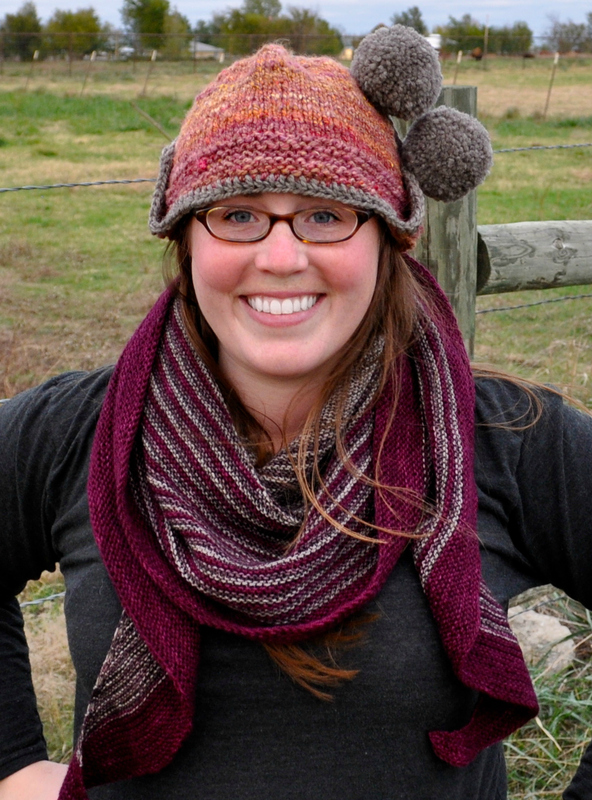 Now off to finish some Christmas knitting! 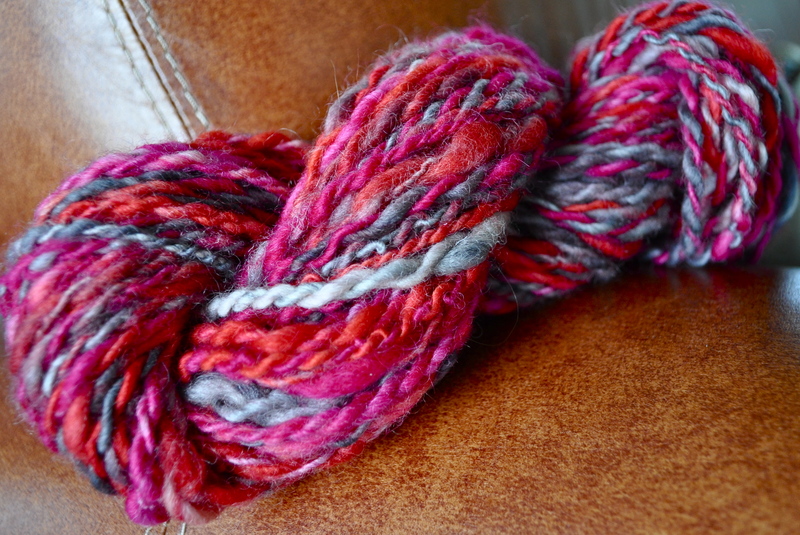 I did much better on my second skein, and by the end I think I had finally figured out the whole let-go-of-the-spindle-while-drafting-at-the-same-time thing (just like Brita said!). 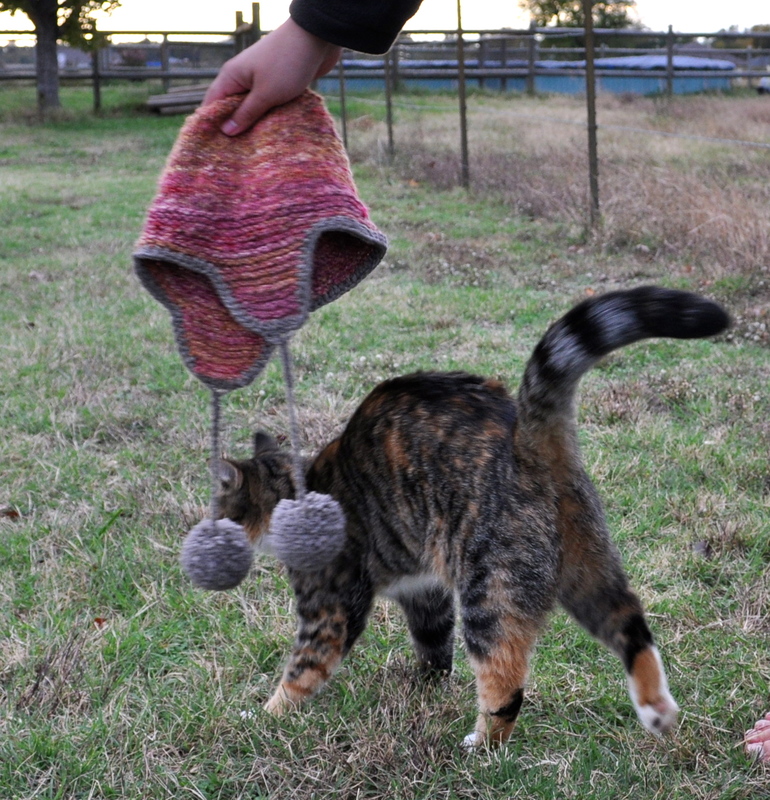 My yarn was getting much more consistent by the end of the . . . ok, I forget what you call a bunch of fiber that is not a batt . . . was it combed top? Now I’m working on another 3 oz. 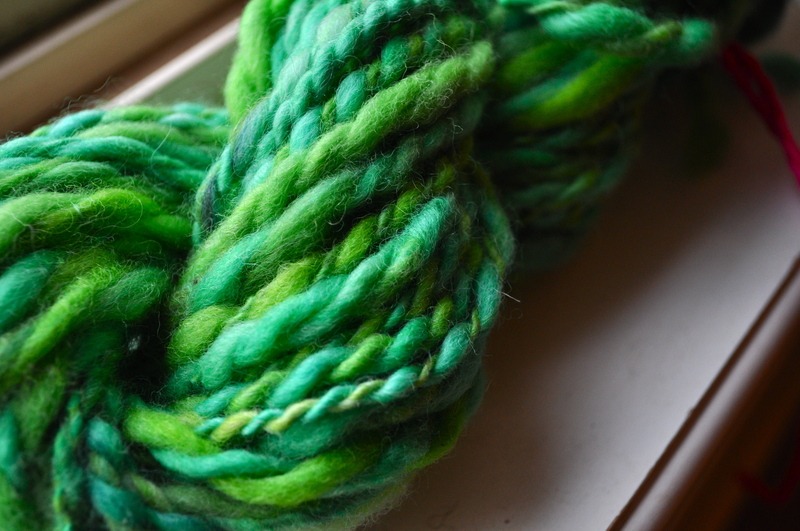 of fiber from a Louet spinning kit I got for Christmas last year (I’d been too chicken to try it out until I had the class). It’s a solid color, and I don’t know what type of fiber it is (I can’t find it anywhere on the box or any insert in the kit), but I can tell you that it’s pretty! The singles I’m spinning from it are much thinner than my previous two skeins, which hopefully means I’m getting better because Brita said for a while all any of us would be able to spin was really fine gauge yarn (I think this was an attempt to get us to enjoy our fat, lumpy first skeins while they lasted). 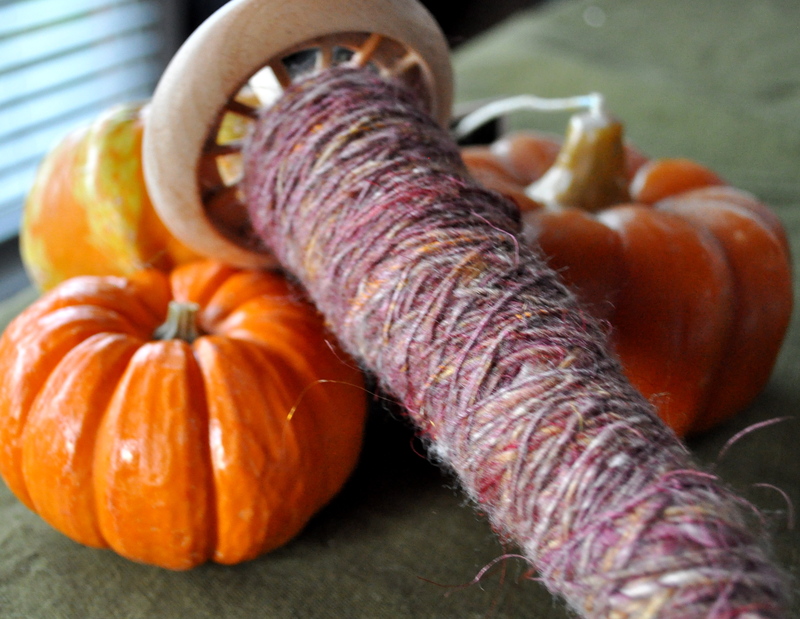 I’m sort of cringing at the thought of an actual spinning expert (or even someone with intermediate spinning skills!) reading this post, because I’ve probably said multiple things that are incorrect (and infuriating to a fiber-fanatic). Hopefully this learning curve won’t be too steep!